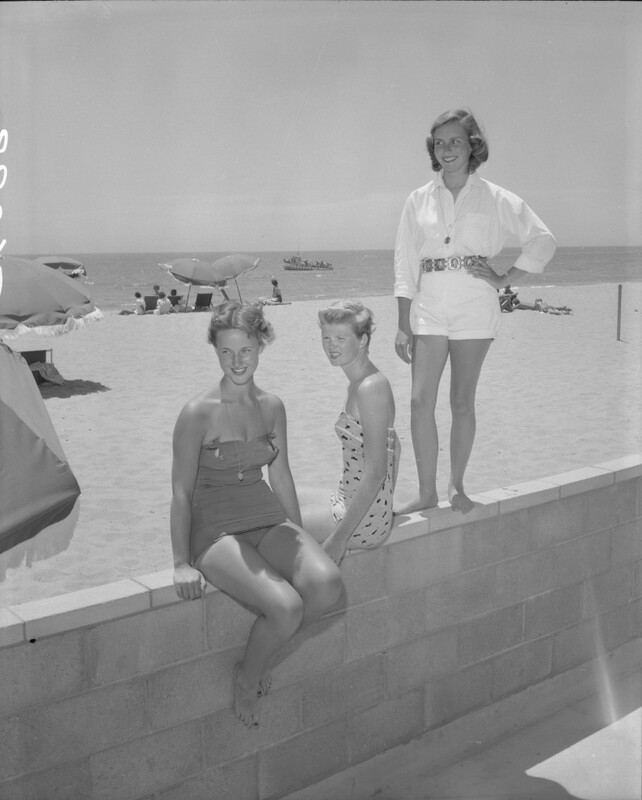 Santa Monica Swimming Club members enjoy a day at the beach in 1954. Los Angeles Times Photographic Archive, Negative 88043. UCLA Library Special Collections. 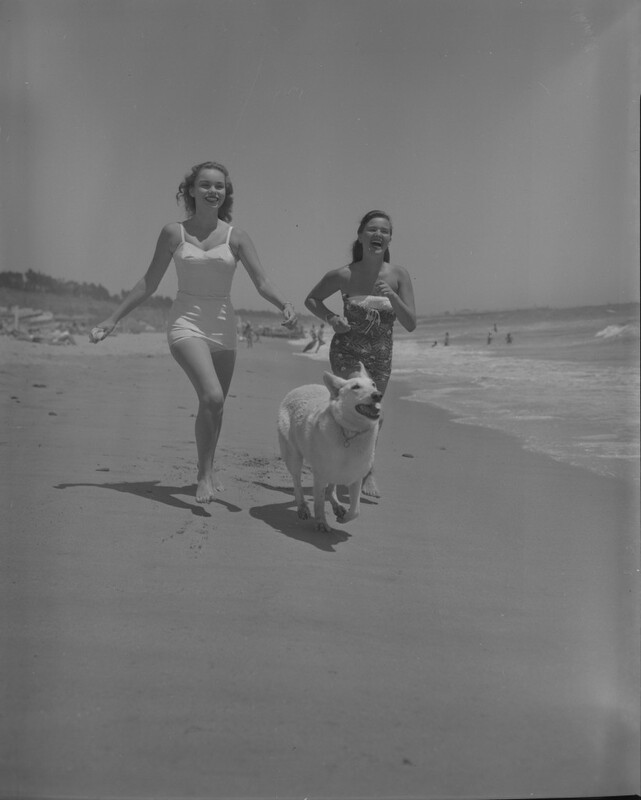 With picnics, furry friends, warm sun and cool water, the Pacific Ocean was, and still is, a prime summer destination. 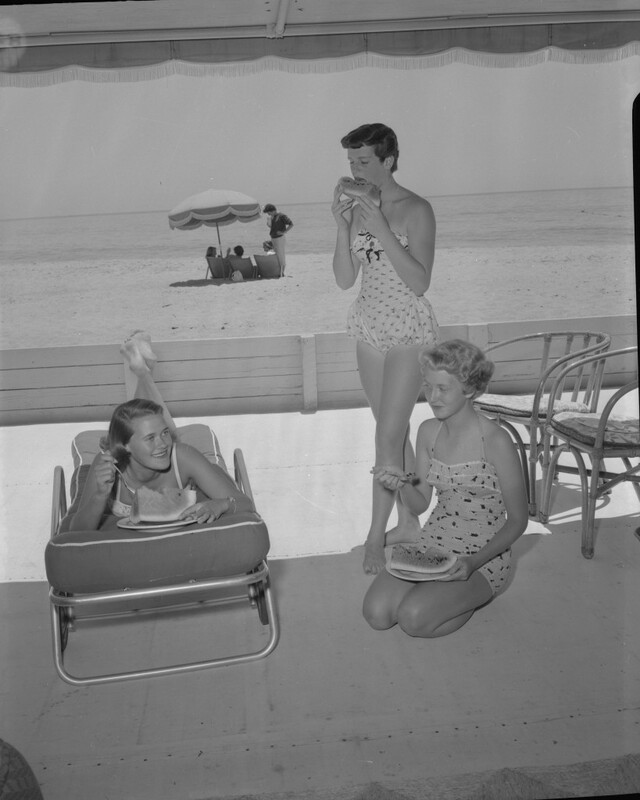 Looks like the only changes in the last 60 years are the styles of the bathing suits!